What does it take to build data infrastructure? The answer to that question may seem simple: Disks. Yet in reality, a complete data infrastructure is a lot more complex than just disks. Here’s a look at all of the infrastructure components that power data operations. Again, storage media are the most obvious part of data infrastructure. Storage media typically take the form of hard disks or tape drives, but they could also include flash storage, in-memory storage (which is increasingly popular in conjunction with platforms like Apache Spark) or even old-school storage like CDs, in peculiar cases. Your storage media would be of little use if you didn’t have a computer to host it. That’s where servers come in. They provide the processing power that makes it possible to read, write and transform data. Without an operating system, your servers would not be able to think. In this sense, operating system software is an essential part of data infrastructure. While operating systems typically handle very basic data-related tasks, such as reading and writing data from disks, data applications deliver essential advanced functionality. Tools like Hadoop allow you to analyze large amounts of data. ETL tools help to transform data from one form to another. Backup and recovery platforms help to keep data protected against the unexpected. File systems provide another essential type of functionality. They organize your data and provide a framework that allows operating systems and data tools to interact with the data. Modern file systems — especially those designed for big data, like HDFS — often do other important things, too. They might provide built-in data redundancy or unerase features. Modern file systems are also usually “software-defined,” which means that they decouple hardware from software in order to maximize the scalability of the file system. You need a way to move all of your data around. 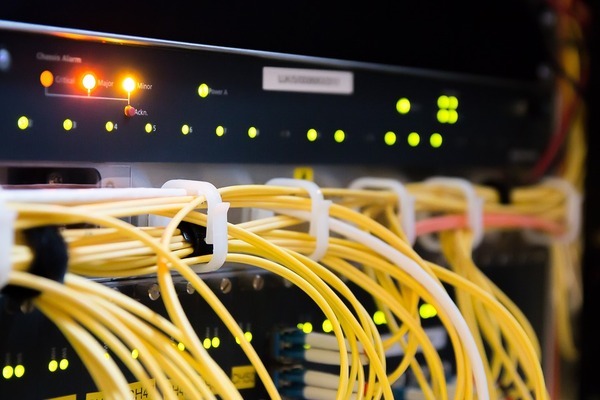 And because today’s data workloads are typically spread across multiple servers, the network that connects those servers is crucial for making data movement possible. This is true both within your data center, where local networks connect individual data servers or expose disks directly to the network, as well as when it comes to connecting your private data infrastructure to resources hosted in the public cloud. The final key piece of big data infrastructure are tools that allow you to integrate data from diverse sources and express it in a form that makes it easy to interpret. This is the job of data integration tools. We’ve already discussed data applications above. Although data integration tools are similar, they fall into a unique category. Unlike data applications, data integration tools work at multiple layers of the data infrastructure. They help to unite the various infrastructure components that store, host, read, write and transfer data in order to bring together data from disparate locations and make it actionable for the business. To learn more about the state of data security in organizations today, read Syncsort’s full “State of Resilience“ report.